Quick slim downs, cleanses, celebrity diets, and all the other diet fads have been around for a lot longer than you'd think. "Of all the parasites that affect humanity I do not know of, nor can I imagine, any more distressing than that of Obesity." So started William Bantings Letter on Corpulence, likely the first diet book ever published. Banting, an overweight undertaker, published the book in 1864 to espouse his success after replacing an excessive intake of bread, sugar, and potatoes with mostly meat, fish, and vegetables. Since then, fad diets have appeared in many forms. To what length will people go to achieve their desired figure? As a professor of nutrition and eating behaviors, my sense is the history of dieting shows vanity outweighs common sense. Let&apos;s jump back to 1028, the year William the Conqueror was born. Healthy most of his life, he became so overweight in later years that he went on a liquid diet consisting of almost nothing but alcohol. He lost enough weight to resume riding his cherished horse, but a riding accident soon led to his untimely death. We do know of one case in which consuming more alcohol than food allegedly led to longevity. In 1558, Italian nobleman Luigi Cornaro restricted himself to 12 ounces of food and 14 ounces of wine a day. Rumor has it he lived to a ripe 102 years of age, earning his approach the nickname The Immortality Diet. Another alcohol-focused plan, The Drinking Man&apos;s Diet, was introduced in the 1960s. This included so-called "manly" foods like steak and fish, along with as much alcohol as desired. Poet Lord Byron credited his thin, pale look to vinegar and water. This practice re-emerged in the 1950s as the popular Apple Cider Vinegar Diet, which instructs people to drink a mixture of equal parts honey and vinegar. The latest version, although not scientifically supported, claims that three teaspoons of apple cider vinegar before each meal will curb cravings and cut fat. "Cleaner" liquid diets, cleanses, and detoxes are designed to supposedly rid the body of toxins, despite our natural ability to do so. In 1941, alternative health enthusiast Stanley Burroughs created the Master Cleanse, or Lemonade Diet, to eliminate cravings for junk food, alcohol, tobacco, and drugs. All you had to do was consume a mixture of lemon or lime juice, maple syrup, water, and cayenne pepper six times a day for at least 10 days. Beyoncé made this popular again in 2006, saying she lost 20 pounds in two weeks. Television physician Dr. Oz and others have since promoted their own versions, varying in length and foods allowed. Most include a daily laxative and copious amounts of water. The Last Chance Diet, published in 1976, consisted of drinking a very low-calorie liquid a few times per day. The main ingredient was a blend of predigested animal by-products – think hide, horns, and tendons. This "meat smoothie" was taken off the market after several followers died. More recently, the Green Juice plan became popular. Many were captivated by the promise of a deep cleanse or quick weight loss, while others saw it as an easy way to consume more fruits and vegetables. One of the original recipes called for apples, celery, cucumber, kale, lemon, and ginger. Andy Warhol had a different approach to maintaining his physique. He reportedly ordered foods he disliked when out at restaurants, asking for a to-go box upon leaving. He would then give this to a homeless person. Sleeping was another possibility. Elvis Presley was rumored to be an advocate of the Sleeping Beauty Diet. Its long pill-induced sleeping bouts were said to inhibit eating. A more recent effort to mimic celebrities, the Hollywood 48-Hour Miracle Diet was joined by the Hollywood 24-Hour Miracle Diet, the Hollywood Daily Miracle Diet Drink Mix Meal Replacement, and various dietary supplements. In the early 1900s, overweight businessman Horace Fletcher slimmed down and made dieting a pop culture phenomenon with his Chewing Diet. He recommended chewing food until it became liquid to prevent overeating. Another method rumored to be popular in the early 1900s was the Tapeworm Diet. Theoretically, one would swallow a tapeworm or tapeworm pills. The worm would then live in your stomach and consume some of your food. While vintage advertisements have been found, there is no evidence that tapeworms were actually sold. 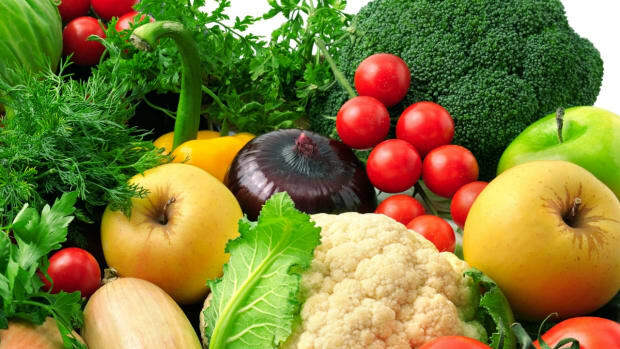 Other diets have allured fans over the years with the promise of easy weight loss through a single miraculous food. There&apos;s the Grapefruit Diet, which recommends half a grapefruit before every meal; The Peanut Butter Diet and the Ice Cream Diet, both promising as much of said food daily as desired; and the Shangri-La Diet in 2006, which claimed you could beat hunger by drinking olive oil about an hour before each meal. One standout example was the Cabbage Soup Diet, first popularized by celebrities in the 1950s. This diet involved consuming nothing but soup for seven days. The original recipe called for cabbage, vegetables, water, and dry onion soup mix, but other renditions added ingredients like fruit, skim milk, and beef. It became trendy again every 10 years or so, with the Internet making it easier to share. Some diets and their supporting theories went beyond food. In 1727, writer Thomas Short observed that overweight people lived near swamps. His Avoiding Swamps Diet thus recommended moving away from swamps. Instead of moving away from swamps, Breatharianism recommends not eating. Followers in a 2017 interview claimed food and water are unnecessary, saying they subsist on spirituality and sunlight alone. The prolonged fasting would eventually lead to starvation, but devotees have been spotted eating and drinking. The more dangerous Cotton Ball Diet surfaced in 2013. Dieters reported consuming up to five cotton balls at a time, saying they felt full and lost weight. With its unfortunate side effect of intestinal obstruction, this diet faded away. But not all unusual ideas are bad. The Seven Day Color Diet, published in 2003, suggested eating foods of only one color each day. For example, red day would include tomatoes, apples, and cranberries. This actually emphasizes healthful foods to include, rather than crazy concoctions or restrictions. While intriguing, fad diets are usually short-term quick fixes. They may produce initial rapid weight loss, but this is more likely due to their lower calorie intake than the follower&apos;s usual diet, and often consists of water loss. Instead, we should remember that there&apos;s no simple secret to losing weight. Achieving sustained weight loss and maintenance requires reducing your calorie intake and increasing your activity levels—with or without grapefruit and cabbage. This article was originally published on The Conversation. Read the original article. Melissa Wdowik is an assistant professor of food science and human nutrition at Colorado State University. 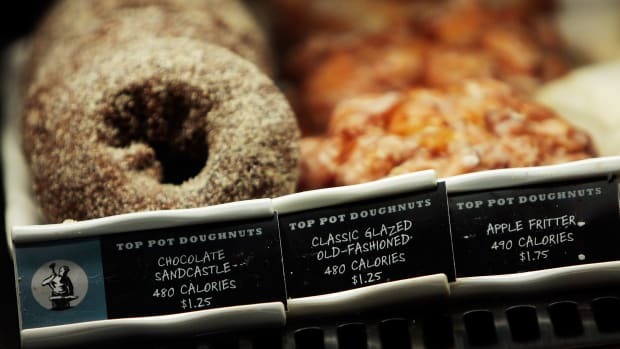 The calorie counts you've long seen at Starbucks will be at every chain restaurant starting today. The new U.S. health reform law requires chain restaurants to post nutrition info. Might knowing the calorie count mean the extinction of deep-fried Oreos? 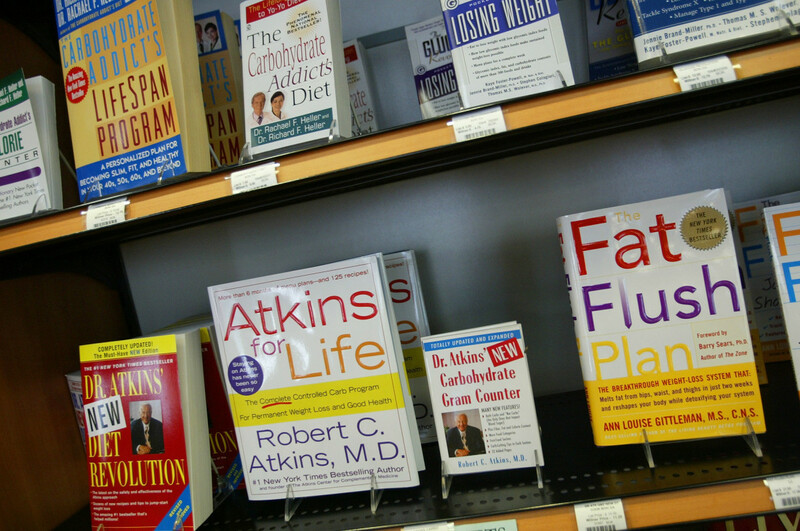 Fad dieting failures reveal Americans attitudes toward food and themselves. Should We Listen to That French Fry Recommendation? 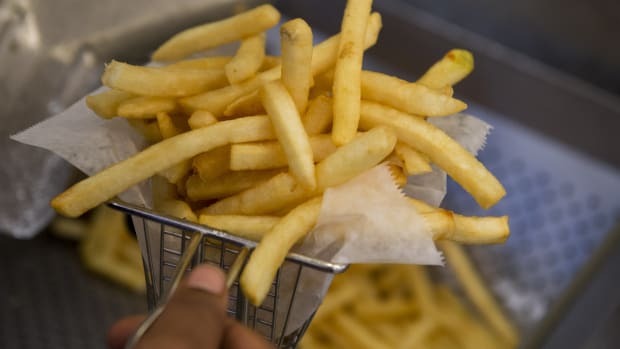 Fries aren't the healthiest food, but they do not act alone. 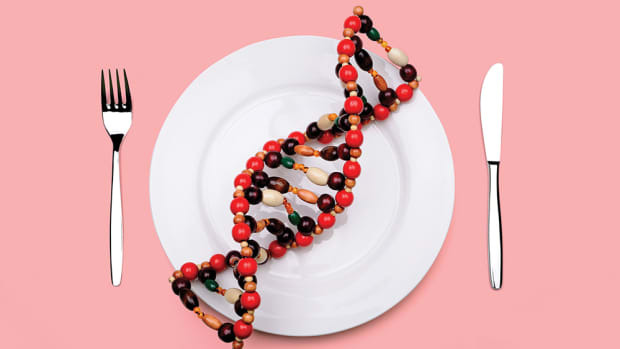 So far, attempts to optimize our diets based on our DNA have not panned out.